Foster Grant Sunglasses. Oval Shape. 100% UVA/UVB Protection. Polaroid Sunglasses P8339 C6T JR Purple Burgundy Gradient Polarized are a nice Polaroid version of the iconic new wayfarer style but with a much more rounded feminine shape and tonal colours on the inside frame for a classy but fun finish. Foster Grants MAXBLOCK 100% UVA-UVB Lens Protection Sunglasses. Warning - Not suitable for children under 3 years - Choking Hazard. Not suitable for solarium use. Not suitable for driving in twlight or at night. 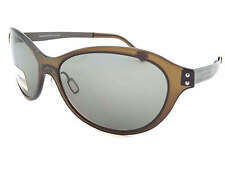 Foster Grant Sunglasses – Model No. ALMOST HALF PRICE. RRP £17.00 OUR PRICE £9.95. Photochromic Lenses - Brown. Eyewear & Sunglasses. All our sunglasses feature UV400 & UVB Lens Technology, absorbing harmful UVA and UVB spectrums. United Kingdom. Polarized Lenses. 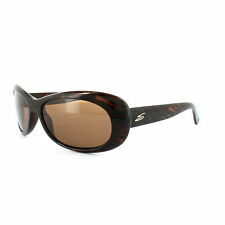 Ladies designer sunglasses with UV400 lens protection. Solid Nose bridge for maximum comfort. Temple width 135mm. Lens - Green Polarised. 07-11-2018 12:02:41. From the 'Distene' range. .
Polaroid Sunglasses 5011/S LKP WJ Black Fade Crystal Blue Violet Grey Gradient Polarized are a classy oversized style with a bold large silhouette which is paired with gradient polarized lenses for a classic look but with excellent glare reduction and colour perception that you would expect from a much higher price than this. Fiorelli black travel c ase included. 100% UV 400 protection (UVA/UVB). Category 3 UV lenses. Lens: Polarized Photochromic Green 555nm. TheSerengeti 555nm lens is engineered to maximize the transmission of green and yellow in low light conditions, thus providing better contrast and image definition. POLICE ASTRAL 2 S 1871 SUNGLASSES. (MIRRORED ). Size - 56 - 19 - 140. All sunglasses lenses give100% UV protection. Model - F373. Colour - Brown Tortoise. Lens - Brown Gradient. Lens: XTR Karbon8, Graduated Brown. This Cat 2 optical Class One lens provides Maximum protection against UVA/UVB and harmful blue light up to 400nm. Bianca 7368. Model - 7368. Lens - Polarised Drivers (cat. Polarised - Yes. The amber-colored Drivers lens is particularly well suited for driving. That’s because it enhances colors and contrast, lightening and darkening for optimal light transmission in any driving condition. ). Dolce & Gabbana Sunglasses DG4304 502/13 Havana Brown Gradient feature a polished metal bridge that then continues above the rims to accentuate the cat's eye and to give a lovely contrasting finish to these cool acetate frames. 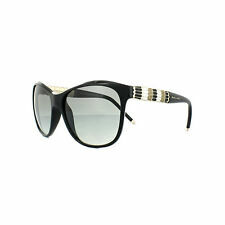 Christian Dior Sunglasses DIOR PRECIEUSE D28. All sunglasses lenses give100% UV protection. Helpful Links. Black with Grey Lenses. Vittoria Collonna Sunglasses. 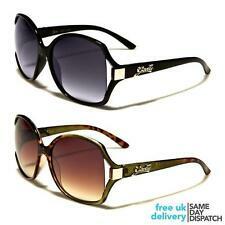 These sunglasses represent excellent value for money. 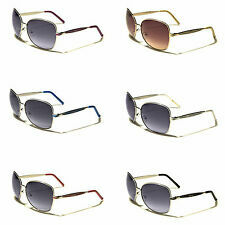 The lenses supplied in these sunglasses block 100% of harmful UV and UVB rays. A protective case in not supplied with these sunglasses. 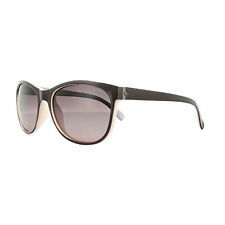 Calvin Klein Ladies Sunglasses. Calvin Klein sunglasses are made in Italy. 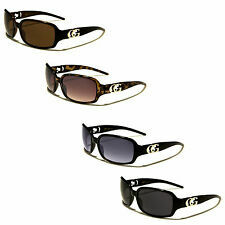 CALVIN KLEIN SUNGLASSES Includes genuine Calvin Klein case, cloth and product information booklet. Premium Optics Ltd Size: 60-16-125 (Lens-Bridge-Arm). Women's oval sunglasses TAC polarized lenses Black & tortoiseshell frame 100% UV 400 protection (UVA/UVB) Black waterproof case/pouch Black microfibre lens cloth .